Till Dawn is Dance-e’s lighter sister. Besides giving a hefty energy boost, Till Dawn primarily improves alertness and concentration. In other words, it’s a fantastic pill for when you have a long day and/or night to make it through, whilst at the same time you want to remain sharp and fit. The combination between caffeine and geranamine is an extremely interesting mix that generates energy and mental alertness. Geranamine has been compared by many in its effects to amphetamine and ephedra. As a result, this substance that comes originally from the geranium plant is encountered more and more in energizers, fitness supplements and slimming aids. 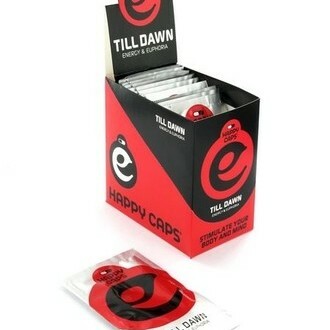 A pack of Till Dawn contains 4 capsules. 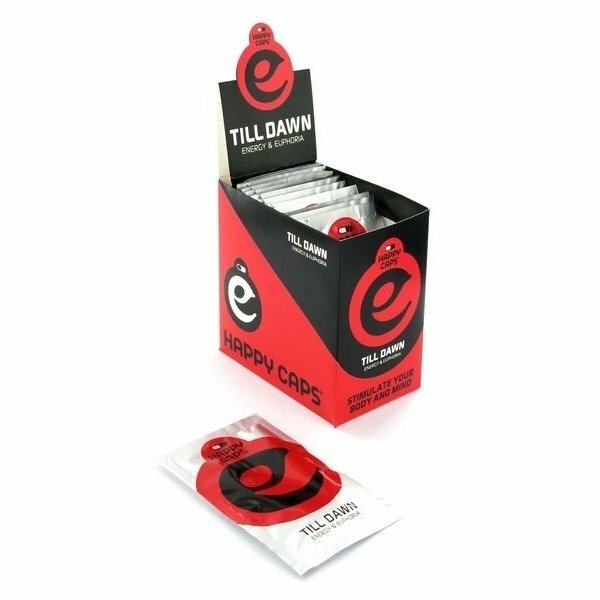 1 capsule of Till Dawn is enough for most people, though some die-hards choose to take 2 capsules. Do no take more than 2 capsules in 24 hours. The first effects will be noticeable 30-45 minutes after taking it. Never take more than the recommended dose. Do not use Till Dawn in combination with alcohol, MAO inhibitors, medicines or other drugs if you suffer from high blood pressure, heart- or vascular disease and/or problems of the thyroid and/or liver, panic attacks, depression or other psychic problems. Also, do not use any Till Dawn if you are pregnant or breastfeeding. Always consult a doctor if you have worries. Store this product in a cool, dry place and of course, out of reach of children. Wann wird dieser artikel lieferbar sein?